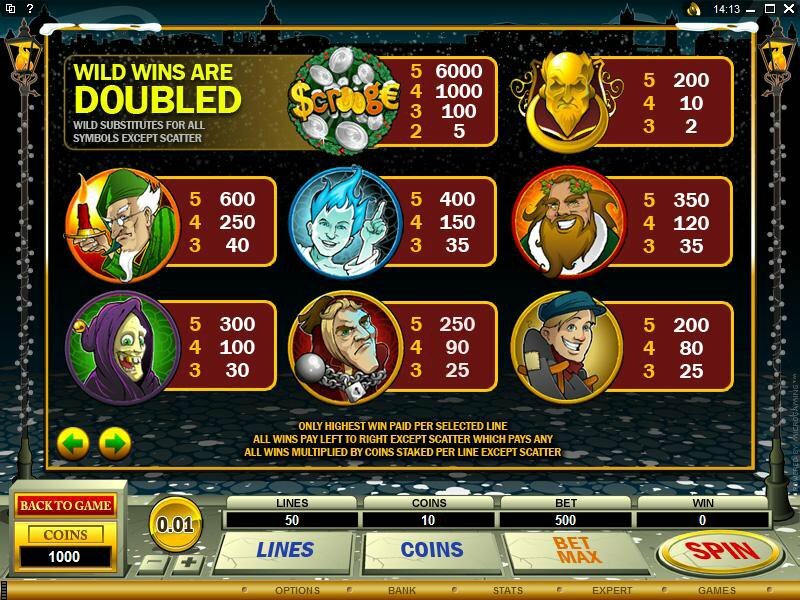 Overview: In time for the festive season holidays is a brand new 5 reel 50 pay-line giant of a video slot with the misleading title SCROOGE - because there's certainly nothing tight-fisted or miserly about this game! 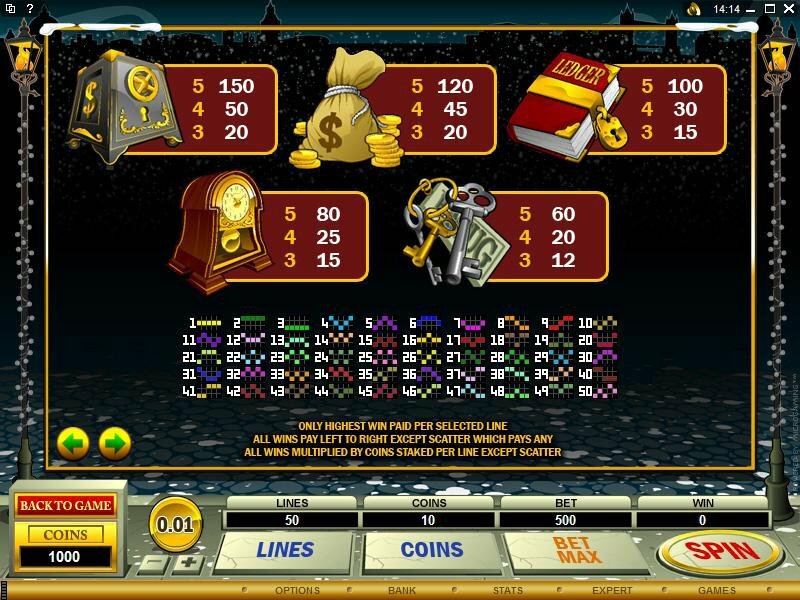 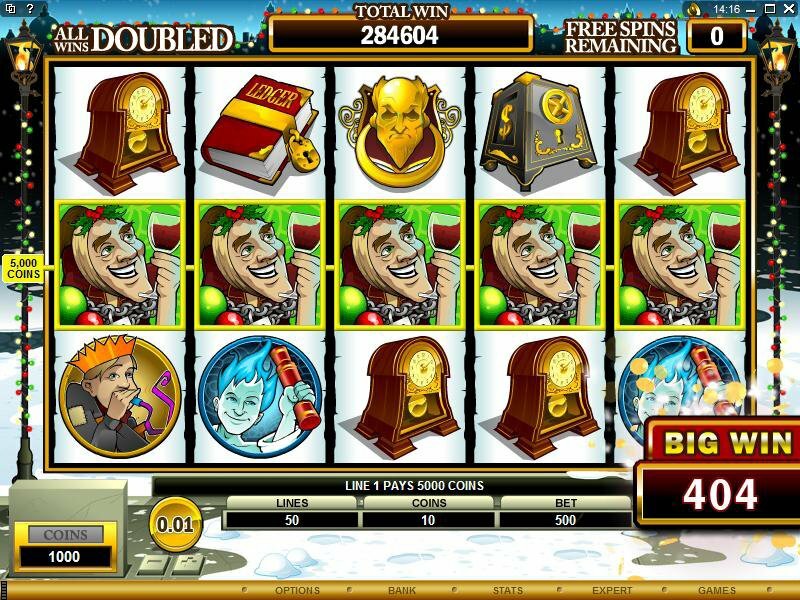 Themed on the famously stingy nineteenth century character in the Charles Dickens classic "A Christmas Carol," the beautifully presented graphics on this outstanding video slot feature a slew of icons from the famous story. 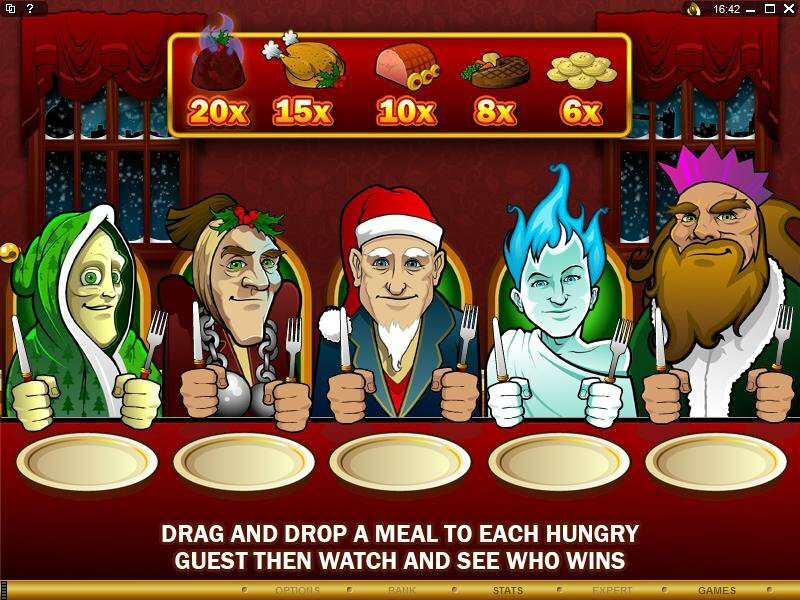 Among these are the initially grasping, cold-hearted Ebenezer Scrooge himself, along with his guides to a better nature Jacob Marley, Tiny Tim and the ghosts of Christmas Past, Present and Future, all of whom bring the miserable tightwad to the realization that kindness and charity is the way to go. 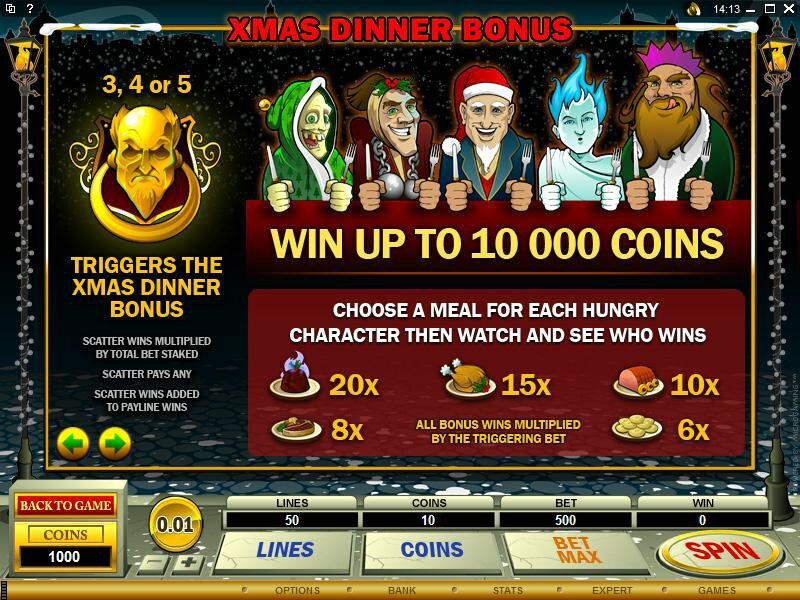 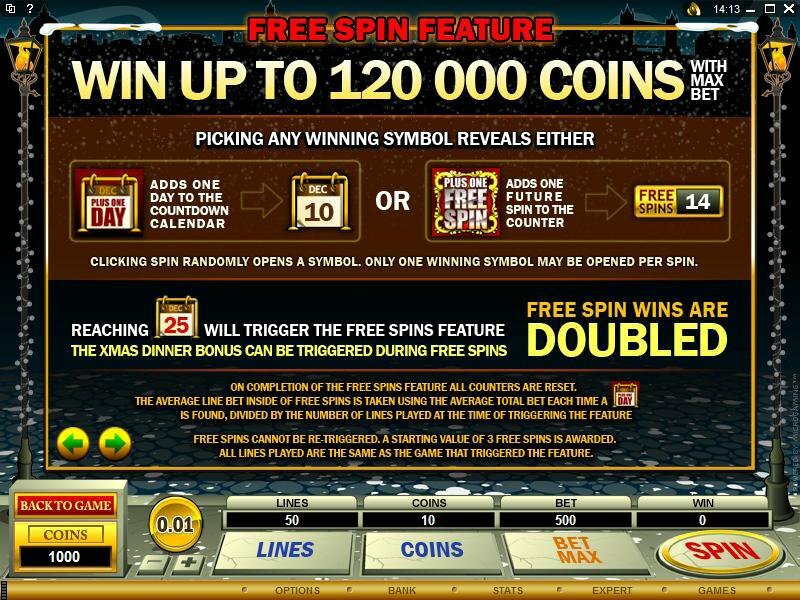 Following the example set by the transformed Ebenezer, this slot can prove to be very generous, dishing out up to 50 000.00 in the base game, 100 000.00 on Free Spins and 5 000.00 on the Christmas Dinner Bonus through a heady mix of Wild, Scatter, Free Spins, Multipliers and a Bonus that can be a real festive season gift. 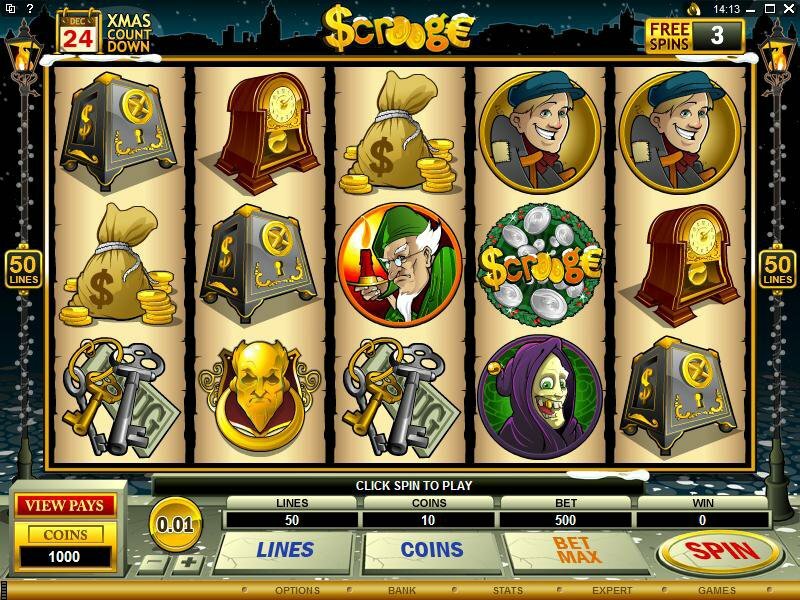 Similar Slots: If you like Scrooge, you might like these other 5-reel slot machines: Break da Bank Again, Monsters in the Closet, Pollen Nation, Tomb Raider - Secret of the Sword, Tribal Treasure, Twin Samurai.